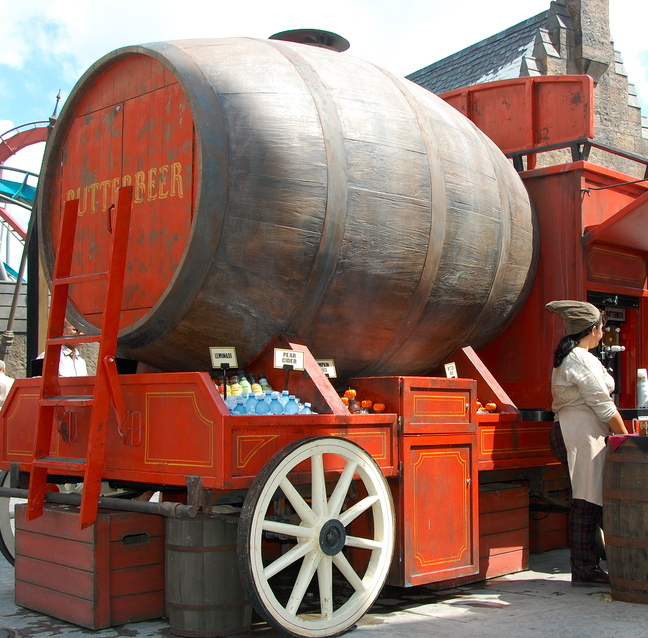 Butterbeer is the signature beverage at the Wizarding World of Harry Potter at Universal Orlando. 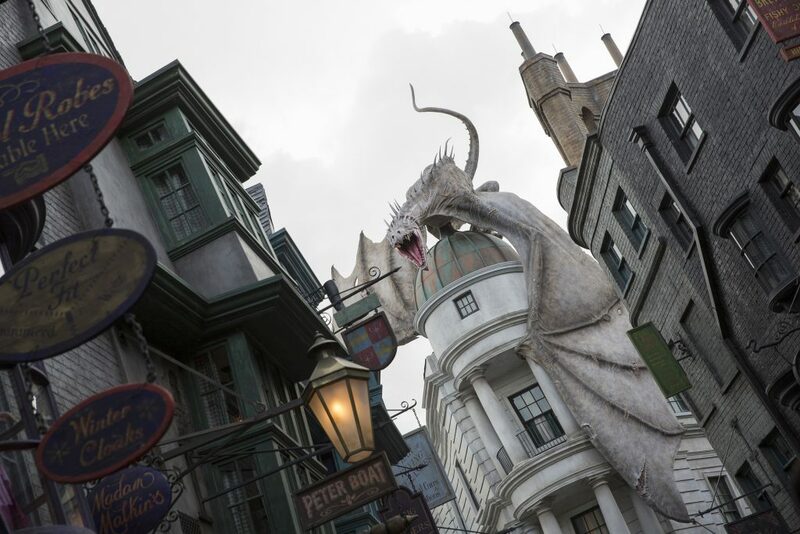 It can be found in both Hogsmeade at Islands of Adventure theme park and Diagon Alley at Universal Studios theme park. With its distinct sweet taste, think of butterbeer as a cross between a sugar cookie and cream soda. 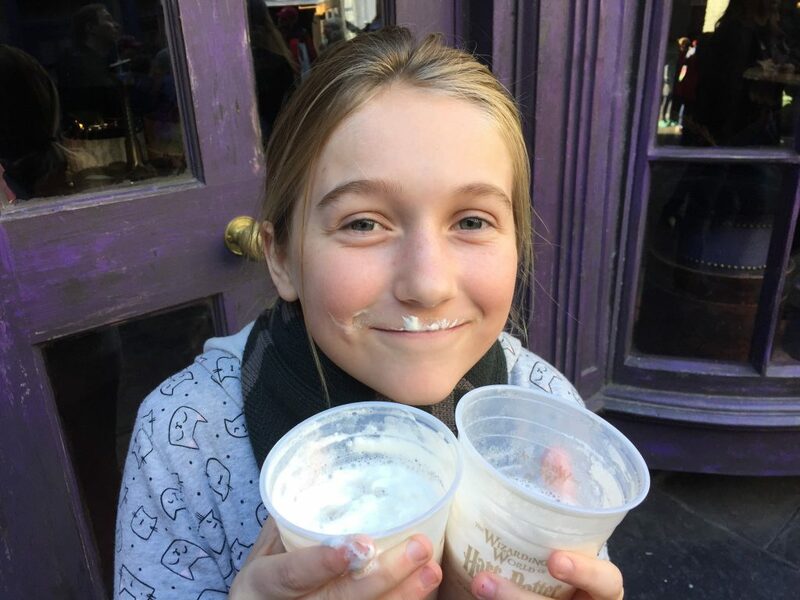 What Kinds of Butterbeer are at Wizarding World of Harry Potter? 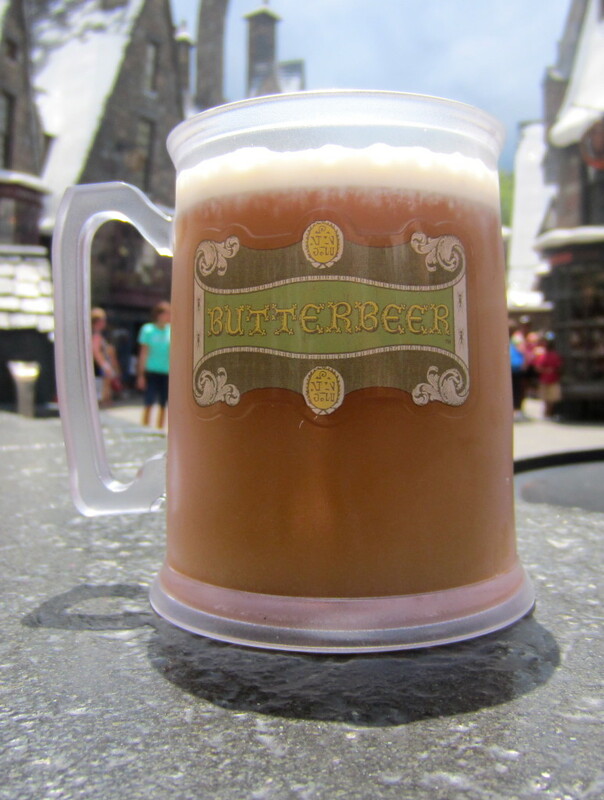 There are several types of butterbeer that you can find at Wizarding World of Harry Potter. Butterbeer can be purchased frozen, cold or hot. There is even butterbeer ice cream! Yum! Tip: If you’re looking for a less sweet version of Butterbeer, go with the cold instead of the frozen. Also, hot Butterbeer makes a great breakfast beverage if you’ve booked a Harry Potter Package! 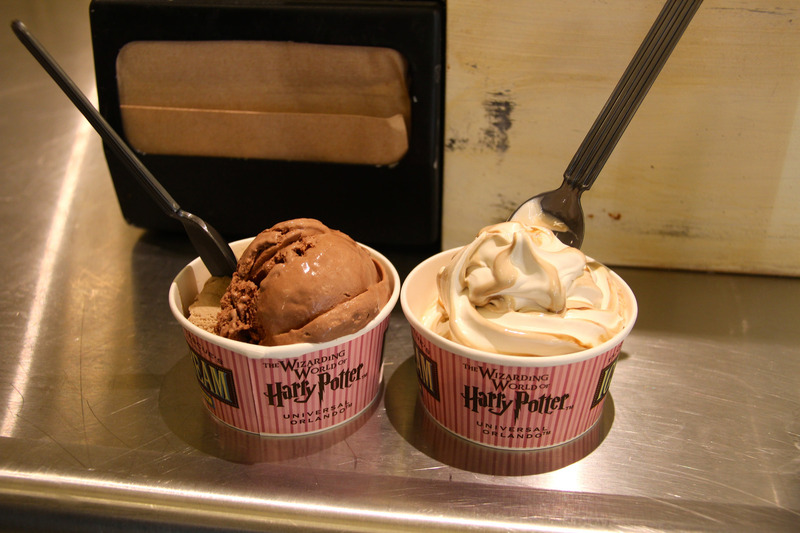 Butterbeer ice cream is only served at Florean Fortescue’s Ice Cream Parlour at Diagon Alley in the Universal Studios theme park. It is also soft-serve ice cream as opposed to the other flavors which are all hard-serve ice cream. Tip: Be sure to stop here multiple times during your trip as they serve other unique Harry Potter inspired flavors such as earl grey and lavender, chocolate chili and clotted cream. Where Can I Grab a Butterbeer? There are so many places you can grab a butterbeer at both Hogsmeade and Diagon Alley. Here are the best ways to grab a butterbeer at the Wizarding World of Harry Potter. Let’s first start at the original Wizarding World of Harry Potter park called Hogsmeade. You can purchase a cold or frozen butterbeer at any of these locations. I love getting butterbeer at Diagon Alley, because you can also get ice cream and hot butterbeer in this location. Here are some of spots to get this sweet treat at Diagon Alley. If you want to continue to enjoy butterbeer once you return home from the Wizarding World of Harry Potter, be sure to check out some great butterbeer recipes! What do you think of butterbeer? Is it too sweet or just right?